I would have to use LOVELY to practice curling...i've spent some time last night watching tutorials on youtube. I'll practice when i get the chance. 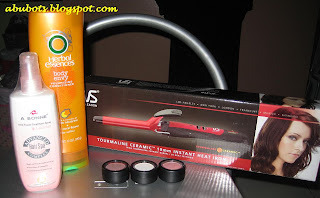 I got the curling iron for almost Php2500 and it's from Vidal Sassoon. I also got myself a hair conditioning spray to protect the hair from heat (not sure if this would work..any ideas on what should i get, please let me know dearies), my favorite conditioner and some more nichido eyeshadows. I really like these eyeshadows. With a good eye primer on, they stay on me for a long time, they are blendable and applies smoothly. Whew...don't you love blogging, my darlings? wow! celebrity! hahaha! you are right though, blogging is a way to gain new friends. :) it would have been an awesome experience to meet your readers! Girl! 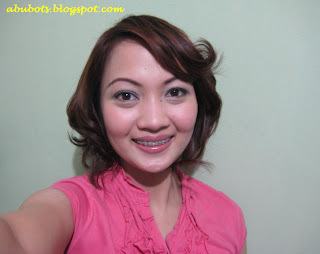 super bagay the curls! Love it~ you look so different! Cute hair! You make me want to try curling mine. I'm tired of my short hair now because I can barely do anything with it. hey jheng, still know me? hehe. naks, sikat ka na. 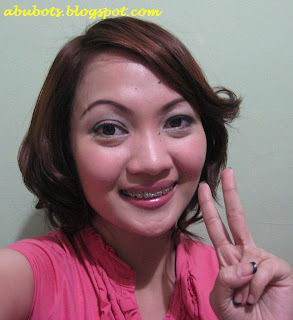 lurker lang ako ng blog mo, you're so bubbly magblog kaya nakakaaliw basahin mga entries mo. congrats on being an MUA, may mapapaggamitan ka ng sobrang dami mong make ups hehe. 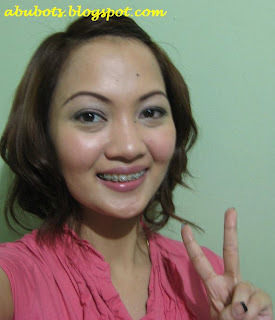 bagay sayo curly hair, you look younger lalo! hi sab honestly i get really nervous and conscious when people stare..feeling ko may dumi ako or ewan sa face. but yeah, it's really fun to meet new friends. when i started blogging, i never expected that people would read it. hi there gracie nah, haven't seen GDH. 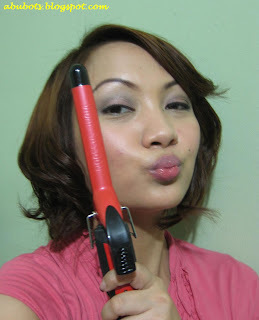 but i'd love to have the crimper like that of fafinette in youtube...the one she got from beautychoice.com...looks cool! ahahah nde ako popular shen for all we know, kunsumio na sila at nagkalat face ko online. lol...wag mo kulutin hair mo..sayang! i love the hair! so cute..
and wow.. you are famous now. :-) am proud of you. i love your hair like this!! i submitted my comment too fast before adding--- wow! it's so amazing and such a great feeling, meeting people from your blog!